A beautiful black gazebo can become a marvelous addition to one’s backyard or garden providing an amazing shelter anytime it rains or the sun is too intense. Surely you may find black color too dark and gloomy for a lovely garden. Yet, when you don’t intend to have your gazebo set for a long time, you won’t get depressed with the darkness of its color. Moreover, these outdoor items turn out to be very useful for different festives, flea markets, sports competitions and even film shooting. 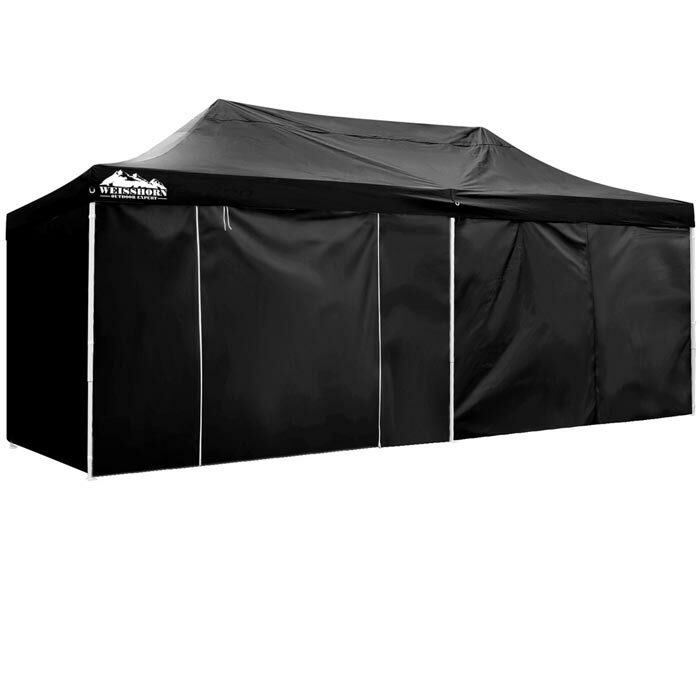 The Primrose is a popular UK store that offers premium quality and stylish gazebos in black coloring. These are as a rule pop-up gazebos that can be set and folded in a couple of minutes. Depending on the size of a gazebo you need, you are sure to find one. For instance the Standard 3m x 3m Foldable Pop Up Gazebo is a wonderful choice priced £130. The frame of the pergola is constructed from sturdy white powder coated steel whilst the canopy is made of PVC coated waterproof polyester material. Its triangulated roof bar allows for easy and fast set up and dissemble. 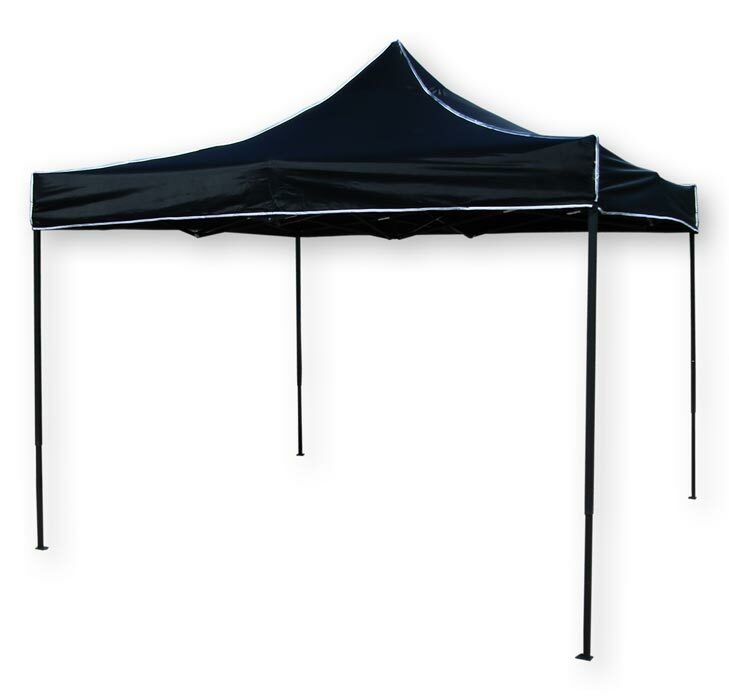 This quality gazebo in dark black color is simply perfect for outdoor dining, garden parties and commercial usage. 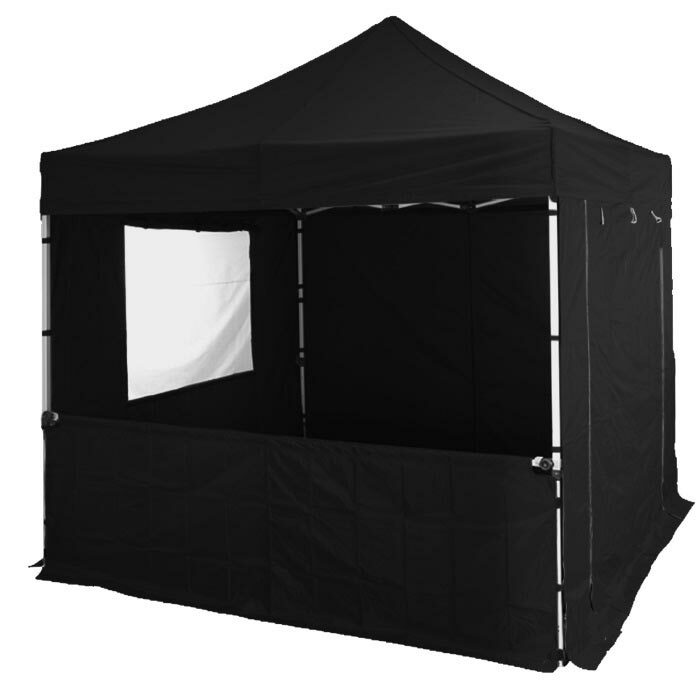 Anyway, if you need a larger black gazebo you will find the Hybrid Plus 6mx 3m Pop Up Aluminum/Steel Black Gazebo quite worthy purchasing. The Primrose offers this wonderful gazebo at £210. This is a luxury model with a quality canopy resistant towards fading. 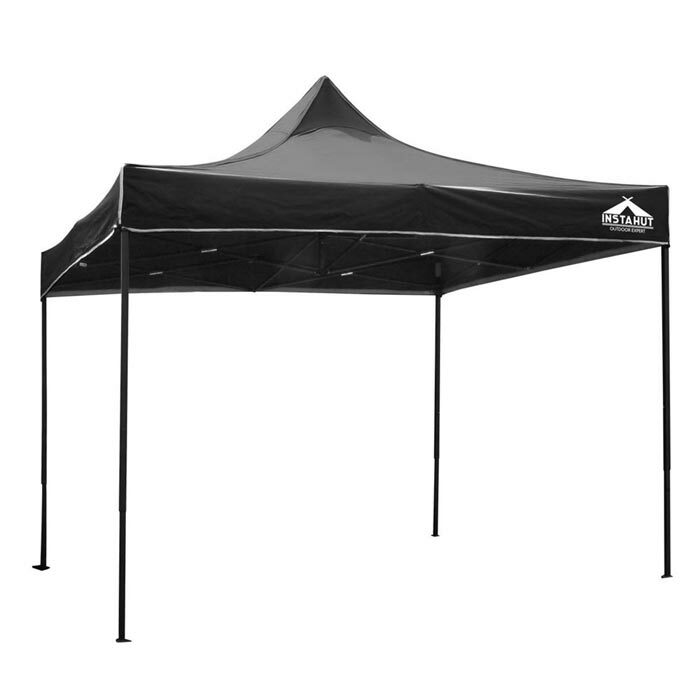 The 500 denier polyester canopy is totally waterproof. Purchasing this aluminum/robust steel hybrid gazebo you will have the ground pegs, a carry bag, a durable roof canopy and guy ropes.